Our wildest childhood dreams have come true! Ever since the animated show and comic books back in the 80s, we've been dreaming of a world where sentient robot/car Autobot warriors duke it out with Decepticon baddies. 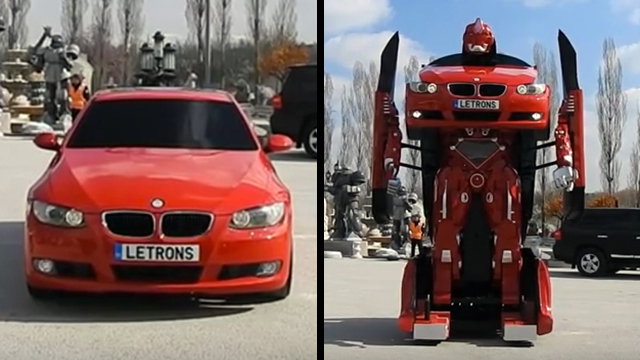 Thanks to groundbreaking Turkish company Letrons, that future is here with this stylish BMW "Transformer"-in-disguise!